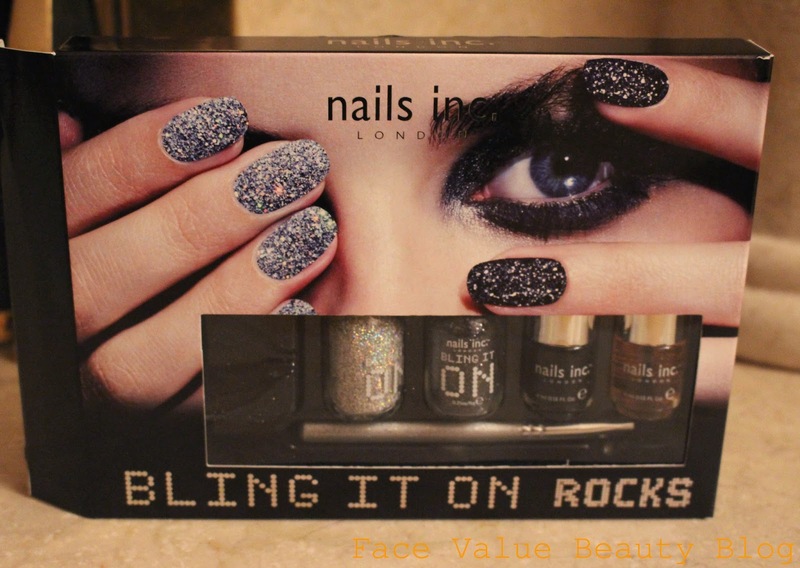 This Bling It On kit comes with 2 bottles of glitter, a bottle of Nails Inc nail polish in Black Taxi and the Nails Inc Kensington Caviar Topcoat. Oh yeah, and a little dusting brush and a tray which you use as part of the ‘blinging-up’ process. Cute! It’s easy peasy, I promise! Let me take you through the steps. First you pour out a little glitter in the tray – if you’re anything like me aka Clumsy mcClumsy, take this part slowly! 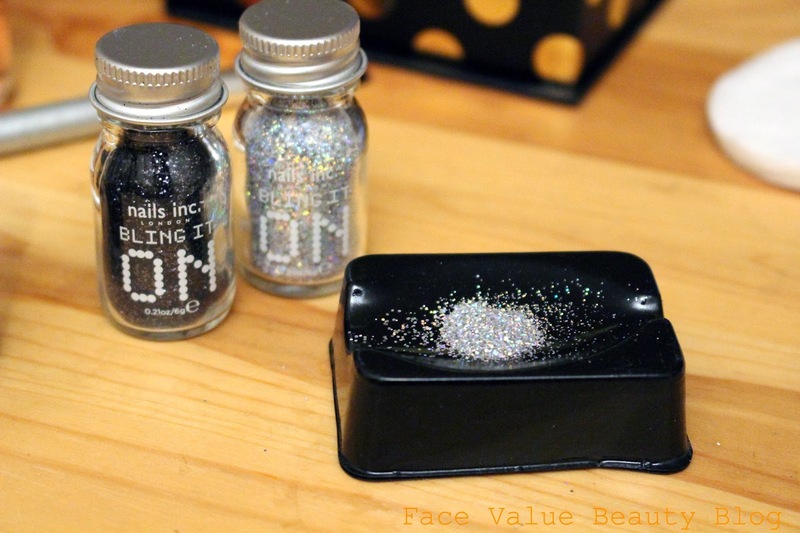 Then, while it’s wet, roll your nail in the glitter so that the full nail is coated. Seal it all with a coat of the Kensington Caviar Top coat! 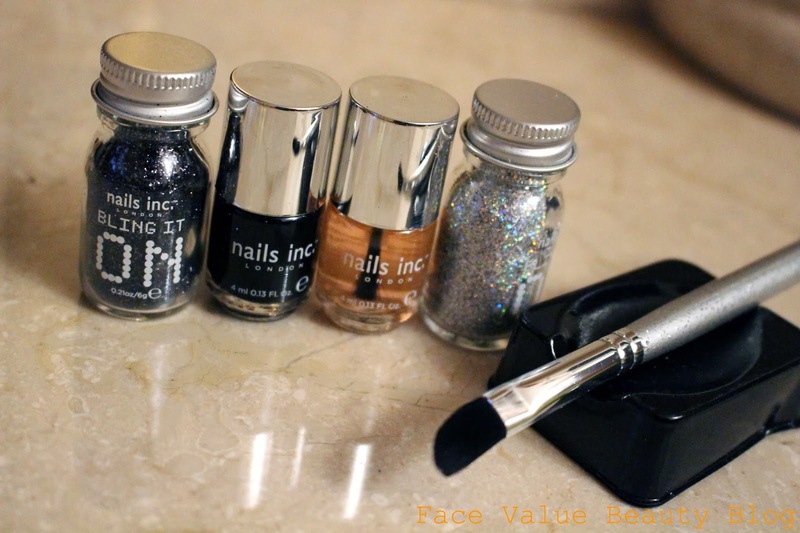 The kit comes with black and silver glitter, so you can either do all your nails in the same glitter, or you can mix it up! I decided to do my nails in silver with an accent nail in black on my ring finger. 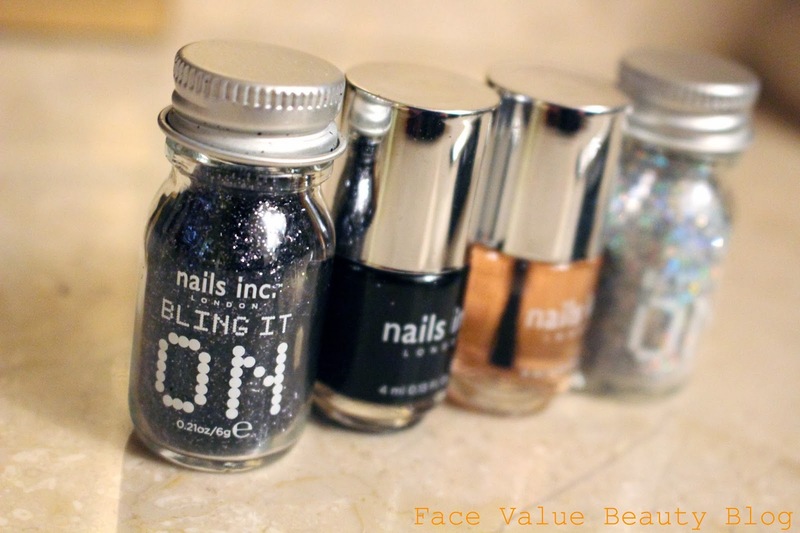 Jewel encrusted nails, dripping with bling – but sealed in tight with some topcoat. And all this in less than 5 minutes a hand! The RRP of the kit is £20 but I’ve seen it IN THE SALES – online, at TKMaxx – all at about £12. What do you think? Disco drama or drowning in glitter? Would you wear this on your nails? Can you recommend any other nail kits? 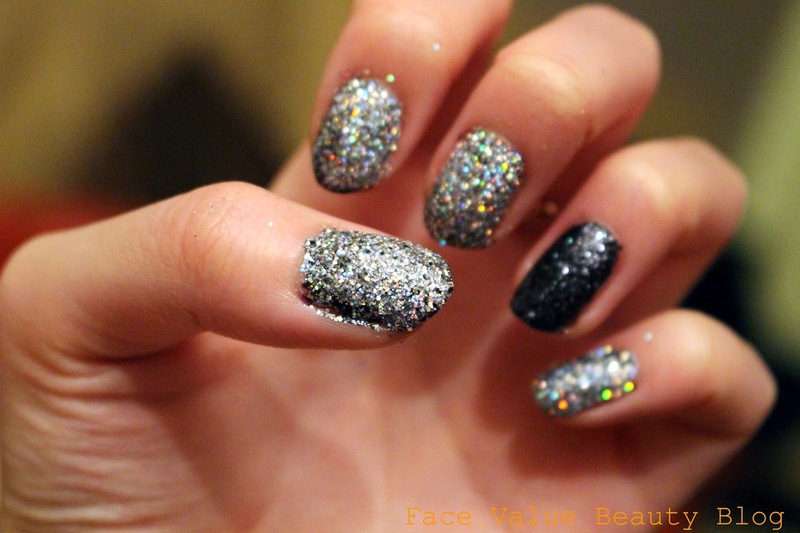 Which do you prefer, the silver or the black glitter? wow this is gorgeous..i love glittery nails they are so much fun.!! thnx for the post. !